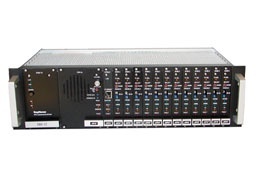 The MLC 8000 is a versatile, compact product platform that allows gradual migration of analog voting / simulcast systems from circuit connectivity to IP networks. 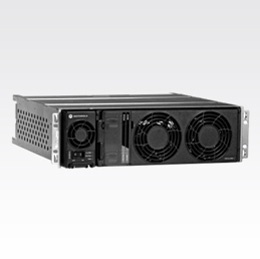 The new analog solution is comprised of one MLC 8000 operating as the Analog Comparator, and additional MLC 8000s operating as Analog IP Gateways. These Gateways provide 4-wire connectivity to the analog base stations and receivers. The SNV-12 modular receiver voting system uses individual Digital Signal Processing (DSP) channels to measure the quality of received signal for fast and accurate determination of the best signal. The SNV-12 chassis accommodates from 2 to 12 receiver Site Voter Modules and interfaces easily with standard dispatch consoles.